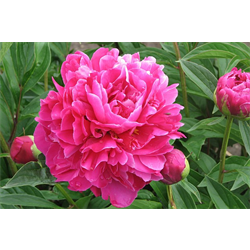 Nothing compares to a peony - huge flowers on strong stems with lush green foliage. A cut flower without comparison, they are beautiful in the border as a centerpiece. Find all Peony varieties for fall shipping here. 3-5 eye plants take one to two years to establish before blooming reliably. Pricing is per package and per peony variety (quantity discounts apply). Browse our peony bulbs for sale today!